Sizzling temperatures, the sizzle of the red-hot barbecue…it’s no wonder that the ruby, with its rich crimson hues, is July’s birthstone! It is also the traditional gemstone for the 15th and 40th wedding anniversaries. Rubies are believed by some to bring health, wealth, wisdom, and love. While we can’t guarantee any of these, we do know they bring us beauty and are a wonderful gemstone to commemorate any number of life’s special events. As member of the corundum family, rubies are just a step down in hardness from diamonds, making them an excellent choice for everyday wear. This durability along with their vibrant color and glassy luster has made them a prized gemstone throughout the ages. Valued since the earliest of times, rubies are mentioned four times in the Bible, and the Roman scholar Pliny discussed their hardness and density in his book “Natural History” in the first century AD. Of course, rubies have been beloved by royalty throughout the ages and into modern times. While we could probably fill a book on royal rubies, here is just a quick example to pique your curiosity. The Bohemian St. Wenceslas Crown made for the coronation of Charles IV in 1347, features a whooping unfaceted ruby of 250 carats. The crown is the fourth oldest in Europe. 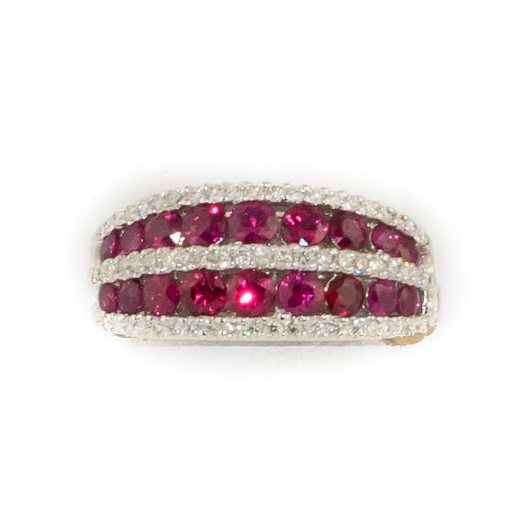 When it comes to assessing rubies, color is a crucial factor. The most prized color is a strong pure red. “Pigeon’s blood” is the term assigned to rubies with the most vibrant red hue. 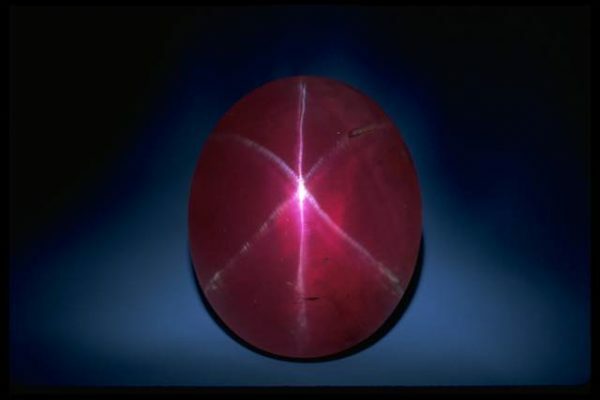 A strong red fluorescence also gives this stone a glowing color. Generally, rubies have inclusions, which are regarded as confirmation the stones are natural and not synthetic. If the inclusions, however, interfere with the transparency or brilliance of the stone, the value of the ruby decreases. Eye clean rubies are a rarity and command top dollar. Ruby is the most valuable member of the corundum family, which includes sapphires. 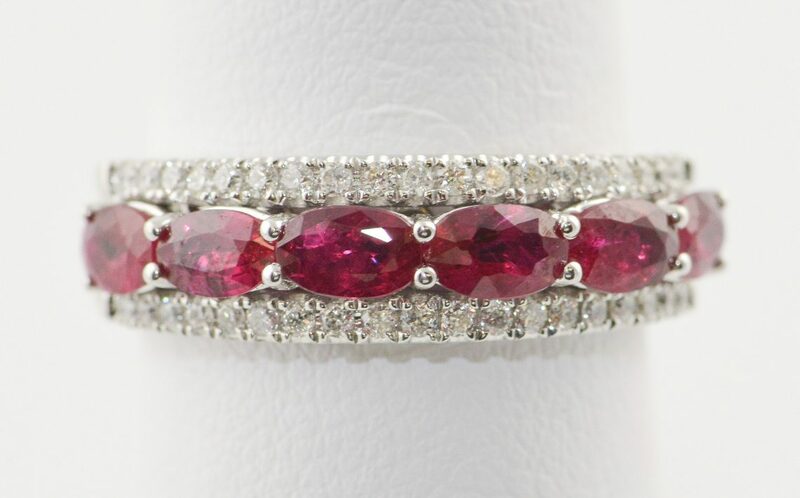 Light red or pink corundums are classified as sapphires while those with a deeper red are designated as rubies. Remember the Rolling Stones’ song “Ruby Tuesday” ? Well, there is a gemstone assigned for each day of the week, and ruby is Tuesday’s gem. Rubies hold the record for highest per carat price for colored stones. The record breaking gem was a 25.9 carat ruby ring known as the “Sunrise Ruby” that sold in May 2015 at $1,266,901 per carat. Yes, that’s over 1 million per carat! At 132.72 carats, the Rosser Reeves Star is one of the largest and finest examples of a star ruby in the world. It is displayed in the Smithsonian Museum and named after its last owner Rosser Reeves who carried it around as his lucky stone and referred to it as his baby. Reeves, an advertising mogul and industry pioneer, donated the gem to the museum in 1965. We do wonder if Reeves ever found a new talisman for himself?! Please stop by our shop if you are in the Buffalo, NY area. 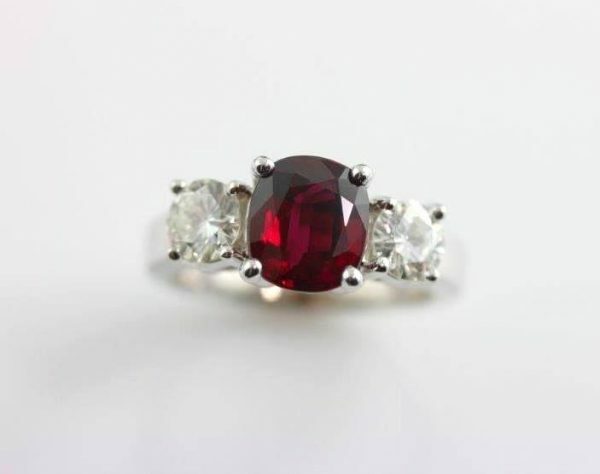 We’d be delighted to talk rubies with you, show our selection or custom design a special ruby piece just for you! We look forward meeting you soon.